Thats right, we all knew GTA V was special, this just goes to show how much. GTA V is the single most expensive video game in the history of the same. Its budget is even more then Hollywood Movies, second only to the highest Budget Film ever made. Lets take a look at them. rest of the game Industry. is supposed to be 24 Million Dollar. So GTA V Most Expensive game in video game history? Definitely. You could have 20 Half Life Episodes in GTA V’s Budget. 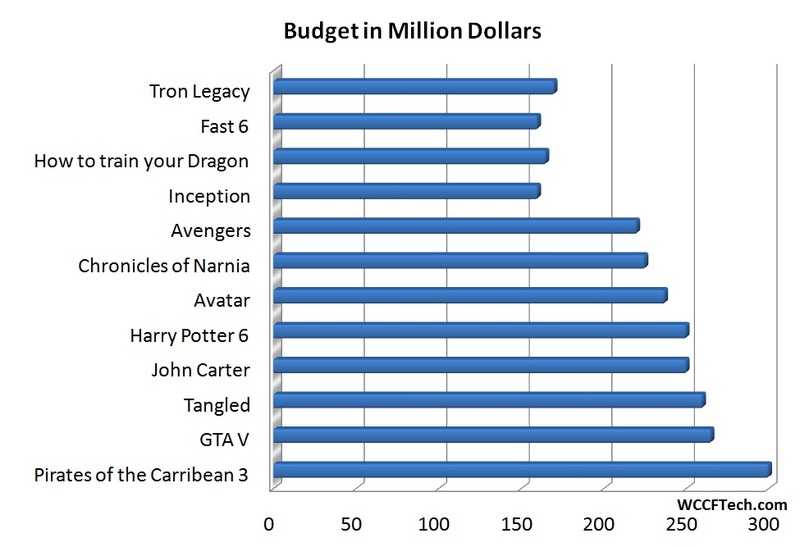 As you can clearly see no High Budget Film has a higher budget then GTA V. Yes, Not Even Avatar. The only exception to the rule being Pirates. The folks over at Rockstar games put a pretty big investment in GTA V to say the least making GTA V the single Most Expensive Video Game in Gaming History. And the thing is the are probably going to get repaid multifold. Samsung Galaxy S5 Specs Confirmed from Packaging – Leaked Image!